Most black peppercorns are harvested while still green, and the drying process gives them their distinctive dark skin. Ours are allowed to ripen on the vine before being hand-picked and sun-dried, resulting in a rich chocolate-colored peppercorn berry with dense wrinkles and a bright, fruity spiciness. 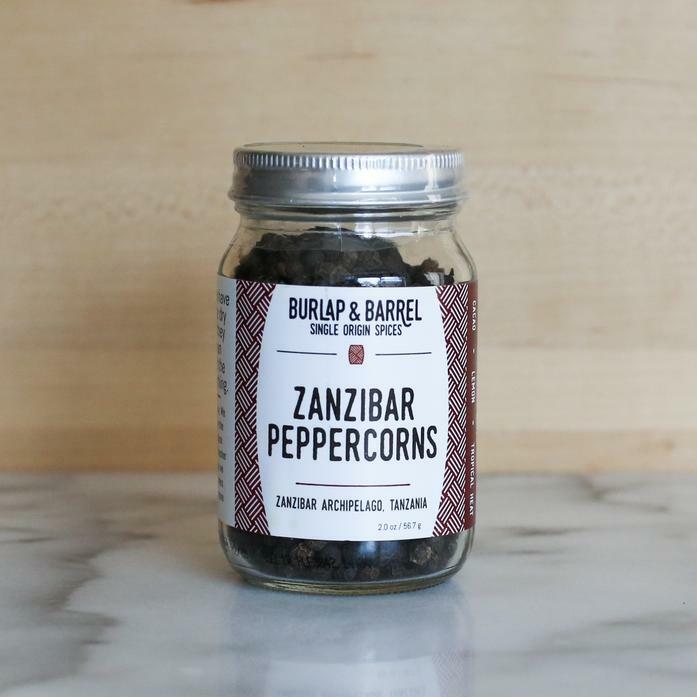 Burlap & Barrel is the exclusive importer of Zanzibar black pepper into the United States. Our peppercorns, like all of our spices from Zanzibar, are grown organically. Each order contains one 2.0 oz jar.